Referral programs bring in a ton of new business. Referral program incentives help get people in the door. Here is a list of referral incentive ideas. Every business is different, so when it comes to a referral rewards program, there is no exception. An incentive that works well for one business may not work for another. It’s all about planning a referral program and incentive to fit the business and motivate a customer. There are a few things to consider when crafting an incentive for your referral program. Deciding on a program incentive is just as important as promoting your referral program. Below we are going to talk about the things you should consider. Need to jump ahead? Here are the covered sections. Discusses the pros and cons of giving incentives to participants. After deciding on whether or not an incentive is going to work for you, you need to decide on who to reward. Think of what fits your business and what will motivate your customers. Now that your incentive is decided on, you need to figure out when incentives will be earned and how much the incentives are worth. Perhaps the typical reward doesn’t work for your type of business. Here are some ideas that can take you to the next level. Experiment with Referral Program Incentives – Change up incentives to refine what works best for you. Building a successful referral program means using tactics. Remember incentives are just a fraction of the equation. Want to brush up on some other referral program knowledge before moving on? No worries, this article will still be here after you read everything you need to know about referral marketing. There are pros and cons to anything, including referral program incentives. Which means there are many things to think of when planning a referral program. Like whether an incentive will be present or not. The bottom line is whether an incentive is offered or not, a business has to provide a good reason for sharing. The incentive should be an added bonus or another factor of persuasion (it can be treated like a finder’s fee). Aside from finding the perfect incentive, the customer has to have a good experience. If the customer is happy, word of mouth is bound to happen. Let’s get into why incentives work and why they may not work. Now that you’ve decided on whether a reward is appropriate or not, you need to plan on who will get the incentive. Deciding on the ‘who’ in this factor should align with what fits your business and goal. You may want to give an incentive to both parties in the situation if your intent is to make more sales. If your goal is to create stronger relationships with clients, you may opt to give the referrer a reward (kind of like a finder’s fee). Think about how the incentive will affect your goal and what will engage your customers most and create word of mouth to occur. Some businesses don’t tie any incentive into their referral programs. Sometimes, it’s an issue with cost. The business may not be able to give monetary rewards. Or, the business owner doesn’t want to give any extra discounts or rewards. They instead hope customer’s’ experiences are so positive that they refer it on their own. After all, word of mouth does happen naturally on its own. Example: An existing customer refers a friend to their favorite baker. Pro: People like sharing cool things with their friends. Especially if they know it will benefit them. Referrals happen on their own, think about it. People find salons, insurance agents, and other businesses because of their friends. Con: Even though a customer says they would refer, it might not happen. If the customer has to go out of their way to refer, the chances of them actually referring becomes a slim chance. This type of program doesn’t motivate people to refer. Final Thought: Non-incentivized referral programs produce the most genuine recommendations. But the majority of customers will lack the motivation to refer without an incentive. This means both people involved earn a reward. Many times the customer who referred someone will earn a credit, discount or money. The referral will usually earn a discount. Pro: Both people in this situation will have a reason to engage in the program. This can lead to the highest number of successful referrals. Think of social currency. You are giving the advocate a reason to share without making them look self-serving. So, when you offer a good incentive for both parties – a customer will engage. Con: The business owner must feel comfortable with giving out many incentives. The business will have to be able to track incentives for both sides of the equation, so it’s potentially more work. Final Thought: Two-way programs will likely lead to many successful referrals. Both people involved will engage in the program. In this case, only the advocate (existing customer) will receive an incentive. Many programs incentivize to the existing customer, rather than the new customer (referral). Example: A software company may give the existing customer an upgrade or some cash for a referral. 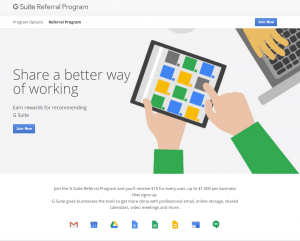 See below – G Suite rewards the advocate? Pro: Customers will be more motivated to recommend the business if they have an incentive. They will feel good about referring their friends too. Especially if they feel like their friend will benefit or enjoy the business. Con: It means less if referrals know the referrer is being paid for recommendations. It may seem like the referrer is only recommending the business to receive the incentive. Final Thought: This type of referral program works well for getting many referrals. This is because it is in their self-interest to do so. But, the recommendations may not appear as genuine. In this instance, the only person to receive an incentive is the new customer (the referred). 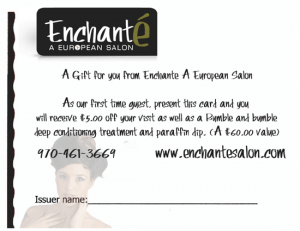 Example: A salon or barber shop could offer a discount to the new customer. Or, a software company may give the new customer a free month subscription/trial or a discounted rate. Pro: A new customer is more comfortable with a product/service when it is recommended to them. Meaning they will be more likely to give the business a chance. Con: There isn’t much motivation for the current customer to refer someone. Despite loving your business, they may not share if there is not a motivating factor. If the current customer doesn’t actually refer. Then the new customer will not have the chance to use the incentive. Final Thought: Programs like this may lead to a smaller amount of referrals. But those recommendations will lead to a stronger outcome. What types of referral program incentives will you give? Customer and partner referral programs can help bring new customers, partners, and even employees into your business. They can encourage happy customers to share their experiences. But how can you set up a program that gets results? To start, you need referral software to back you up. You want to provide a seamless experience that makes it a cinch for customers to take part. You also need referral incentives that make sense for your business. 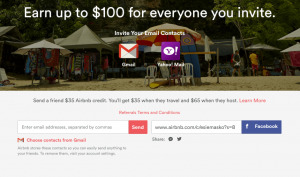 There are a ton of referral program ideas out there to consider. Many companies offer discounts through their referral programs. Like coupons towards their next purchase. This makes a ton of sense when your customers are likely to make repeat purchases (e-Commerce). But, it doesn’t make a lot of sense when they’re unlikely to buy often (mattresses). One of the most common referral rewards is a gift card, as many businesses can benefit from this type of reward or incentive. To create a successful referral program, you need to think about customer and partner incentive ideas. 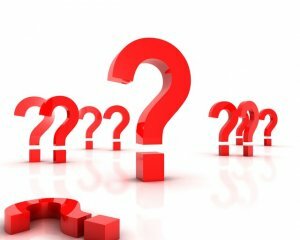 What do your customers want? How can you provide value to those who already love you and those who might become customers soon? Discounts are one of the most common and successful referral program strategies. They are very good for business, as they encourage loyal customers to buy more. You don’t have to hand out cash or prizes– you’re encouraging the customer to spend more time with you. 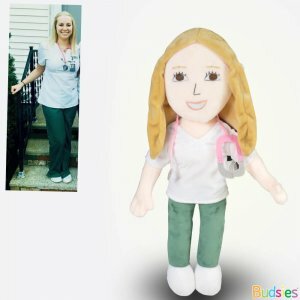 Let’s look at, Budsies, a custom stuffed animal company. They offer 20% off to customers who make a referral and allows them to give 20% off to the people they refer. This discount makes a lot of sense for Budsies. Why? Because customers are likely to order another stuffed animal. You need to be careful with discounts. If your business always offers discounts, a customer may not see the value in referring a friend to save a buck. You may need to sweeten the deal by offering a larger discount. This may help get customers invested in a referral program. For some businesses, a cash reward makes a lot more sense than discounts or coupons. This is true for businesses that don’t get a lot of repeat customers. Or if their customers don’t make purchases very often. For example, if you sell mattresses, customers aren’t likely to come back every month to buy another one. Yes, they may come back a few times a year, but it’s unlikely they’ll be making constant purchases. In this case, it may be better to offer a customer $100 in cash each time they refer a friend. Credits are a little like if discounts and cash had a baby. Many businesses swear by giving out credits. Uber gives $10 off your next ride for making a referral. Another example is Airbnb who offers $35 off your next stay when you get a friend to sign up and book. Giving credits keeps the money with you, in your system. If your product is useful and gets used on a daily or weekly basis than credits could make a lot of sense. This strategy tends to make sense for companies that are “pay-per-use” or a business that is interested in building customer loyalty. A fun referral program incentive is to offer free swag, such as t-shirts, mugs, bags, and other materials. Swag is great because it works as an advertisement for your business. It also functions as incentive rewards for customers. The key with swag– and I know this is hard to quantify– is that it has to be desirable, and have some kind of cool factor. It’s unlikely that people will get excited about a coffee mug with your company logo on it. They might get excited about that mug if it has a super cool pattern, or comes with extra coffee. If you’re going to offer swag as an incentive, you have to make sure that it’s swag that people want. If you’re uncomfortable handing out cash, offering gift cards is a good idea. Gift cards are great for smaller referral programs. For example, if you’re a small marketing agency you might reward customers who refer to a gift card. The referral program may not be formalized, but you still want to show your appreciation. You might offer customers a wide variety of gift cards to choose from so that they can choose where they want to go. Some might like Amazon, but others might prefer Sephora or Home Depot. Another popular gift card option is the Tango Card. You never know until you ask. Maybe you have the reward planned out. If so, that’s great. You do however need to think of a few more things. Like figuring out if you prefer a recurring or a one-time reward. When to give the reward? – Which event will trigger the reward? Will a reward be issued as soon as a referral clicks the link? Or will the referral have to schedule an appointment or get a quote? Or does the referral have to actually make a purchase in order for a reward to be given? Will you use a tiered system? – Are there going to be different incentives based on a number of referrals? Will the first few referrals yield a specific reward? Then will every referral after that yield a different reward? A reward for every single referral? – Did you want to give a reward every single time, or make the reward available for a set amount of referrals? If the reward is small it may make more sense to give the reward every single time. Note: the customer may not think it’s worth it if they have to do a lot of work for a small reward. What should they be paid? – If you’re giving away cash or credit, what amount are you planning to give? Are your terms and conditions organized? – Have all your rules laid out before you make your referral program public. This way every single customer and referral has the same opportunity and outcome. How will you prevent fraud? – What measures will you take to prevent people from referring themselves? Note: referral software can help you keep tabs on things like this. You need to design the reward to fit your audience. What type of reward will lead to more conversions? It should also be known that understanding your user acquisition costs should be considered. Factoring in all your expenses is very important when deciding on rewards. So you want to take the path less traveled. Hey, go you. It can be more rewarding for you and your customers to take a different route when it comes to incentives. These are good ideas for businesses who want to offer something rewarding. These ideas are motivating, but not traditional. It’s always good to have a variety of referral program ideas. You may not be able to offer monetary rewards to customers. Or, you may choose a nonmonetary item because it fits what your customers want. Whatever the case, donating to a cause on their behalf is a great way to incentivize your customers. People actually like ‘giving back’ when it’s something they are interested in and easy to do. Even though the customer may not be receiving a physical item, they still have a reason to feel good. For example, take the idea of TOMS Shoes. They donate a pair of shoes to a child in need every time a pair of shoes is bought. It’s easy to take that idea and use it in a referral program. It doesn’t mean you need to donate a product for every referral – but take the basis of that idea and use it as the incentive. For example: If someone refers a friend, donate money or supplies to a local organization. Both the referring and the referred customer will be glad to do business with you. Plus, it will make them feel good too because it was their doing that caused you to donate. You want to do one grand prize. Well, a drawing may be the perfect fit for you. You could incentivize someone to refer friends in exchange for an entry into a drawing. This works best when done in a shorter time frame. What’s that mean? Well, you run a seasonal “promotion”. For example, you could name the referral program based on the season, or a specific holiday. “Share the love! Refer a friend for a chance to win the grand prize” Could be a great referral program to run during February. Now your grand prize has to be something worth it. Something that will motivate people to refer friends. The cool thing about this is, you only have to do 1 grand prize. Plus, you can make the reward come full circle by making it a highly wanted item. You could even use a sought-after item from your store or even a large gift card (that’s one way to create a return shopper). As mentioned before, the best way for this to work is if the reward is something highly sought after. Think of a customer incentive that people have a hard time obtaining on their own. For example, let’s look at the Association for a Better New York (ABNY). They wanted more people to sign up for the newsletter. They also wanted to drive people to events. So, they decided to create a referral program to provoke both of these actions. So for step one, they asked members to refer friends to sign up for the newsletter. They knew they would need some sort of incentive to motivate members to refer. Therefore created a drawing with a very rewarding outcome for the winner… tickets to see Hamilton. Every referral added by a member represented a chance at winning Hamilton tickets. Remember the other goal ABNY had (get more attendees to the events)? Well, the winner of the tickets was also required to attend an event. ABNY used the tickets as a leverage for both things because they knew that the tickets were highly sought after. Contests are harder because it’s not a guaranteed win for people. People may think of their odds of winning and that may deter them from participating. If the reward is worth it and it’s not too hard to take part in, chances of a great program are higher. For example, think of if you had to fill out a 10-minute form to win $25. You may not think it’s worth it, you may also think about your odds of actually winning. But if the reward were higher – let’s say $300 for a 10-minute form, you may be more intrigued. As long as the customer incentives for a contest is worthwhile and easy, people will take part. People like to see appreciation (which is another reason people like a good referral rewards program). You’ve heard of an employee of the month or quarter, right? Take those same principles and apply it to your referral program (or customer incentive program). Take the person who had the most referrals and hang a plaque in their honor. You could give them some company swag and also hang their picture up (or do a social media shout-out). You could also give them VIP access. The customer could be the first to know about sales and new inventory. Or depending on the industry, they have a reserved seat or table or even designated parking spot. This will also help increase customer’s loyalty to your business. Many referral programs have a consistent referral incentive. For example, a business may offer customers $15 for every referral that becomes a new customer. Some companies alter that path and encourage a higher reward for the first referral. So instead of offering $15 for each referral, the business may offer $50 for the first referral. Then each referral after that will be a smaller amount like $5 or $10. By having the first incentive be high value, it encourages sharing. It helps promote program engagement. You could try the opposite. Start off with small reward and then graduate to a large reward. It can be a process to refine your referral program incentives so that they make sense for your business. You may even find that you can get more bang for your buck by using rewards program software instead of or in addition to referral software! You could always swap out your incentive to try others. Or you could take that idea and change the incentive to match your program for the time being. For example, if your promotion changes, update your incentive along with it. Need more referral program ideas, we have you covered. The key is to figure out how you can provide customers with value while keeping it inexpensive for you. If you can do this you’re on track to having one of the best customer inventive programs.